Momentum chief Jon Lansman has attacked the slate put forward by left-wing group Campaign for Labour Party Democracy for Labour’s key disciplinary committee. 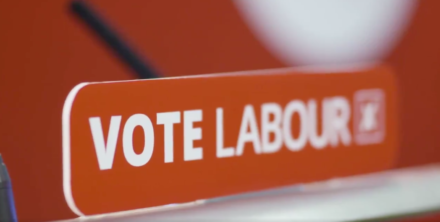 This morning, CLPD published its slate of candidates – also backed by Jewish Voice for Labour (JVL) and the Labour Campaign for Nuclear Disarmament (LCND) – in the contest for the national constitutional committee (NCC). The three left-wing organisations have endorsed Kaneez Akthar, Annabelle Harle, Gary Heather, JVL activist Stephen Marks, lawyer Khaled Moyeed and Cecile Wright. But Lansman tweeted his disapproval of the South East/London-centrism of the CLPD slate, adding: “I regret that CLPD launched their campaign today without agreement.” Pre-empting a meeting due to be held later today, he confirmed that Momentum would be supporting a different set of NCC candidates. The official Momentum account on Twitter backed up Lansman’s criticisms, warning that the CLPD’s decision would “risk splitting the left vote” and “making the NCC even more London-centric”. 1/2 We’re disappointed that several groups have pulled out of CLGA negotiations for a united left slate for the NCC elections. By announcing their own slate dominated by candidates from the south east they risk splitting the left vote and making the NCC even more London-centric. 2/2 We are the only group to do an open call out for candidates amongst our 40,000+ members, and later today our elected governing body will conclude our process and announce a slate of Momentum-backed candidates. Momentum were in negotiations with CLPD and other Labour left groups to put together a single left-wing NCC slate and were surprised by the CLPD announcement this morning, LabourList understands. The left’s tradition of decision making by consensus works as collectivism is integral to our politics. I have a lot of respect for CLPD; it’s powerful history paved the way for current democratising project in the Party. Underhandedly releasing an unagreed slate is destructive. Sad that CLPD have released a slate for the NCC w/o full consultation, it’s important that this behaviour doesn’t continue. We need a diverse & representative NCC who will make fair judgements & I hope comrades vote with this in mind. Momentum NCG decision is coming soon. The Momentum chair’s open criticism of CLPD follows a row held during the summer over the candidacy of Pete Willsman for Labour’s national executive committee (NEC). Momentum dropped their endorsement of Willsman after a recording of his comments on antisemitism leaked – but CLPD remained supportive of his bid, which was ultimately successful. Stephen Marks, a member of controversial group Jewish Voice for Labour, is thought to be one of the choices Momentum is not inclined to back. Like Willsman, Marks has previously denied claims of antisemitism within Labour, and in 2016 he signed a letter describing such accusations as “part of a wider campaign against the Labour leadership”. However, a Momentum source denied the report by Skwawkbox that “Momentum representatives” tried to “veto” Marks at meetings earlier this week. Open Labour has also revealed its NCC endorsements this morning. 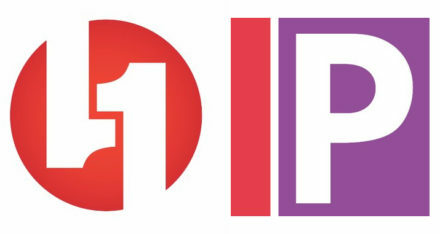 The soft-left group will be supporting Steve Lapsley, a member of its committee who has been outspoken on antisemitism within Labour, plus Michelle Perfect and Steve Hart. Corbynsceptic groups Progress and Labour First released their joint NCC slate last week. They will be supporting Labour First chair Keith Dibble, former parliamentary candidate Gillian Troughton, MP aide Kirat Raj Singh, New Forest councillor Caroline Hexter, Trafford councillor Joanne Harding and Glasgow councillor Malcolm Cunning. Labour conference voted to increase the size of the NCC from 11 to 25 members. There are now six new places representative of constituency Labour parties (CLPs) to fill on the top body, which deals with disciplinary cases involving members, including high-profile figures such as Ken Livingstone. CLPs are expected to make nominations before 28th October, after which CLPs will cast ballots via their secretaries between 12th and 25th November.